SEA-MW Young Members Group is hosting a PechaKucha Night for all SEA-MW members and guests regardless of their professional experience. A PechaKucha is a presentation with 20 image slides, each shown for 20 seconds. Presenters speak alongside the presentation, with the slides automatically set to change every 20 seconds. It is a fast and engaging presentation style that effectively conveys concise information to the audience. The presentation can be on anything related to the presenter’s career as a structural engineer. This includes topics covering specific projects, construction, experiences and lessons obtained, or innovation in structural engineering. This event will take place at Seasons 52 at Tysons Corner on Wednesday, April 10 at 6:00 pm. 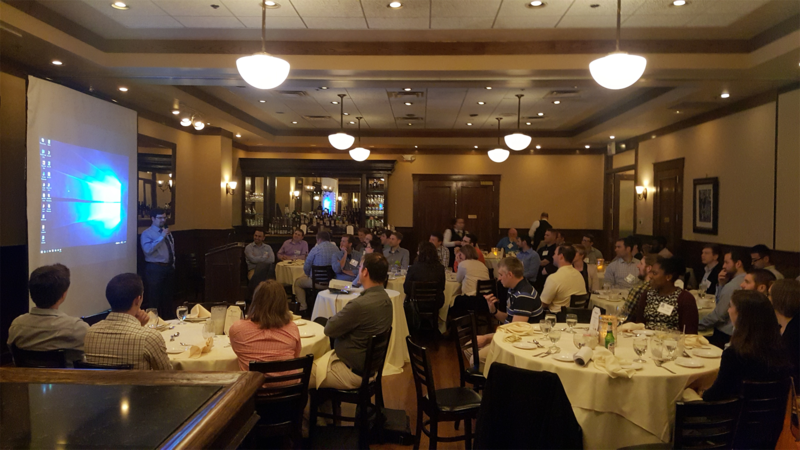 SEA-MW YMG is excited to have the Metro Washington structural engineering community speak on topics they are passionate about! Presenters will receive a gift card in addition to their attendance cost being covered by SEA-MW. If you would like to present at PechaKucha Night, you could also contact Ramiz Vatan.